SUMMARY: At 11, Barry Allen’s life changed completely when his mother died in a freak accident and his innocent father was convicted of her murder. Orphaned Barry later becomes Detective Joe West. Now a crime-scene investigator, his dedication to learn the truth about his mother’s death drives him to follow up on every new scientific advancement and urban legend. 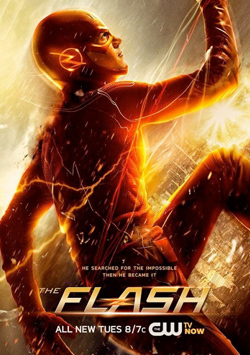 When his latest obsession — a particle accelerator heralded as a world-changing invention — causes an explosion, it creates a freak storm and Barry is struck by lightning. He awakes from a coma nine months later with the power of superspeed. When he learns that others who have gained powers use them for evil, he dedicates himself to protecting the innocent, while still trying to solve the older mystery.